Take a mixing bowl,add eggs beat them nicely. Heat oil in a pan,add chopped onion,green chilli and salt saute for 2 minute until turn transparent.add chopped tomatoes and red chilli,coriander,cumin powder cook for 2 minute untill they turn soft. 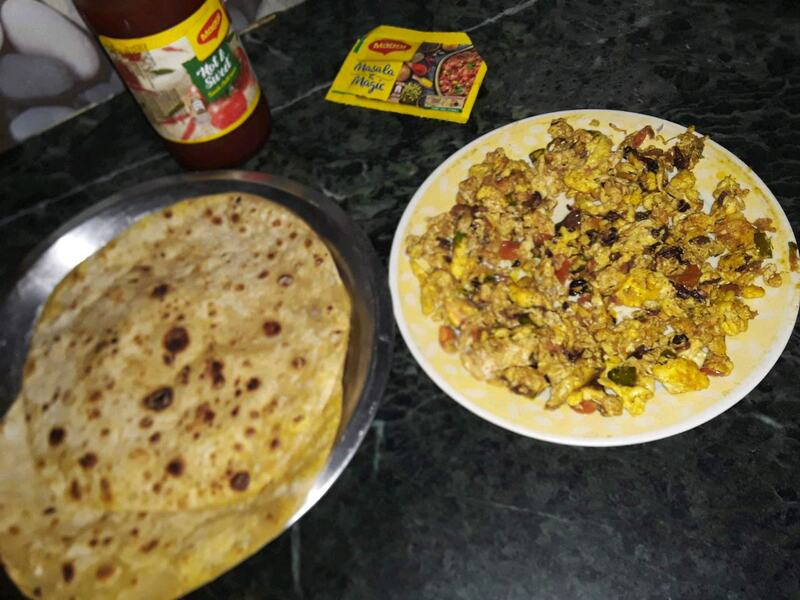 Now pour the beaten eggs.leave them for a minute in medium flame.after a minute scarmbe it slowly.keep stire constantly to prevent over burning.add garam masala powder and black pepper mix it well.now egg bhurji is ready. 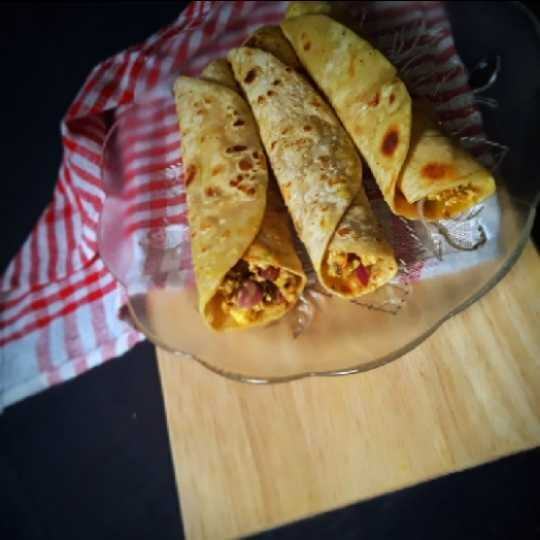 Take a chapati spread tomato sauce,place the eggs filling middle of the chapati.add onion slices and now roll it.